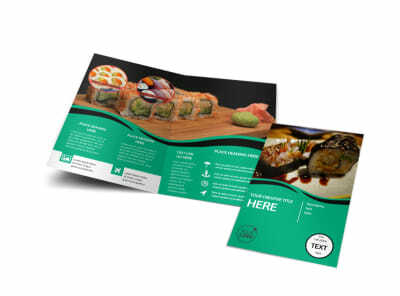 Customize our Fresh Sushi Flyer Template and more! 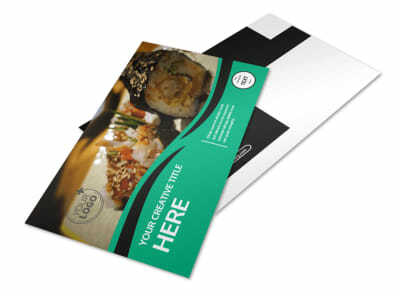 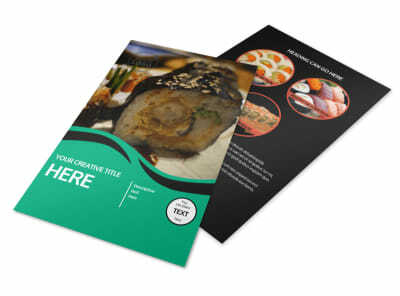 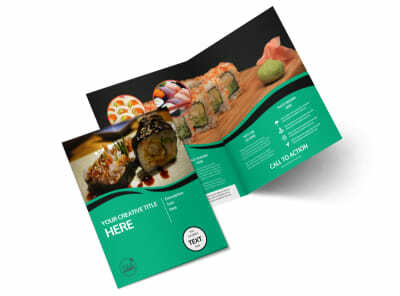 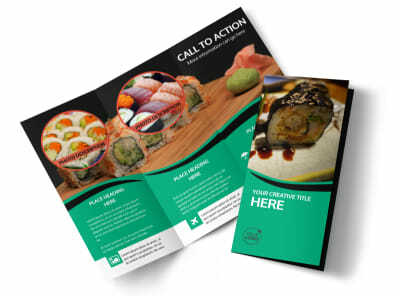 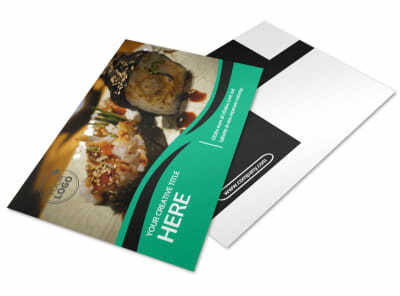 Tempt tastebuds with fresh sushi flyers you create using our templates and editor. 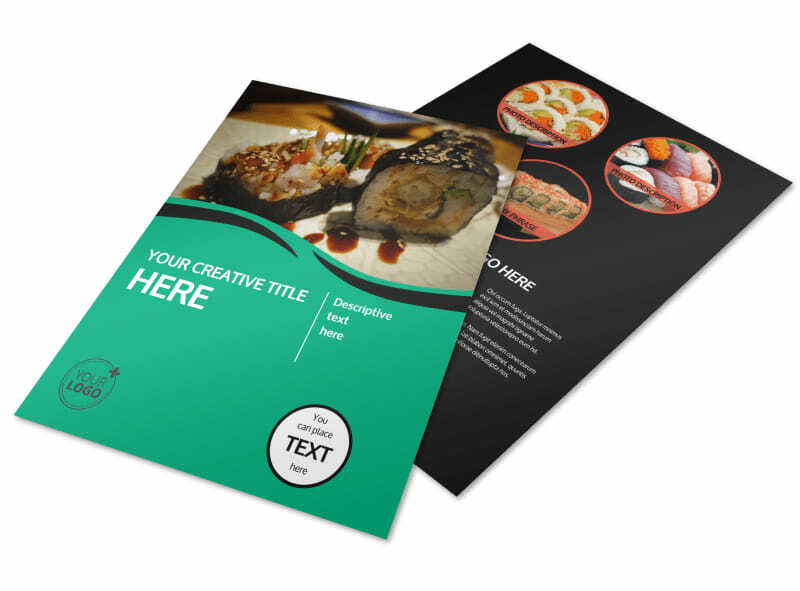 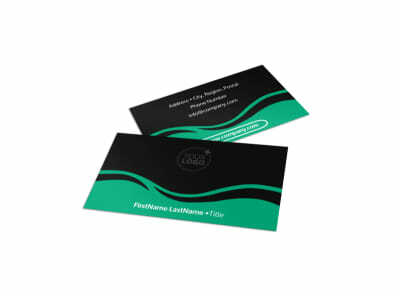 We offer a range of beautiful templates, each waiting for your special touches and customizations including photos of your menu items, text describing your dishes, and more. 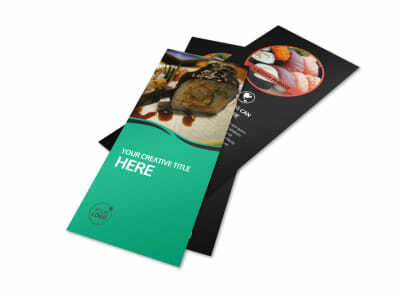 Get busy on your design now, and get a print-ready design in place in minutes.